For young people and their families dealing with severe and complex mental health issues, the right healthcare is important. But treatment alone will never lead to a young person in this cohort leading an independent, purposeful life. Specialised educational support is almost as vital as targeted clinical service provision. Mental health issues affect young people in many significant ways. With adolescence being the transition period between childhood and an adult life, any factor that affects a young person during this time has the potential to seriously impact their capacity to develop and acquire the skills and understand that are essential to becoming an independent and productive adult. 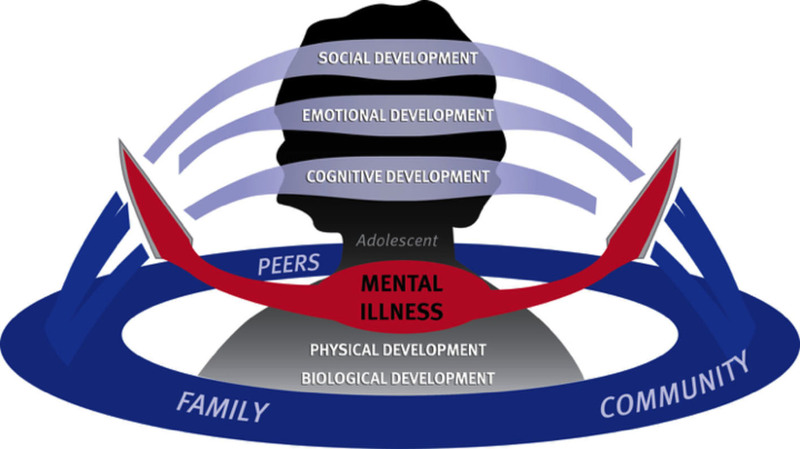 So mental health issues of great severity and complexity can leave a young person in this situation with few, if any, of the opportunities for the emotional, social and cognitive development that are the foundation of adulthood. Specialised education and training provided by teaching staff with expertise and experience must be available in accessible forms for young people and families whose challenges and circumstances can be many and varied. Many mental health issues directly affect a young person’s ability to attend school or exist in social situations without experiencing trauma. So extended periods where an adolescent is incapable of attending school – or even leaving their own bedroom – leave young people and their families in even more damaging circumstances. Not only can mental health issues be exacerbated but the key experiences that facilitate development in this transitional period of life are far out of reach. And the downward spiral continues. In addition, the negative episodes/events that made school and social interaction of other kinds so distressing make re-entry into the social/public world even more daunting. So a specialised approach to education that provides support with understanding of the issues and challenges is the only way for a young person affected in this way to re-engage, not just with schooling but with social interaction beyond the limited existence that their life had narrowed to become. Although there are growing initiatives to counter the stigma of mental health issues and motivation from those with lived experience to have mental health considered with the same objectivity and understanding as physical health issues, mental illness continues to be approached differently not only by some in the community but, unfortunately, by major providers of relevant services. Experts continue to highlight that is there a clear budget allocation disparity in the healthcare system on top of an increasing need in a sphere where investment in the right areas would inevitably see financial savings in services for those whose lack of access to appropriate treatment has led to increased severity and complexity. Education and rehabilitation are essential in supporting young people and their families whose lives are affected in every way by challenging mental health issues. If the right specialised services are not available, healthcare treatment alone is unlikely to provide all the tools, abilities and assistance required for all involved to live the productive lives that are possible for those living with severe and complex mental health issues.